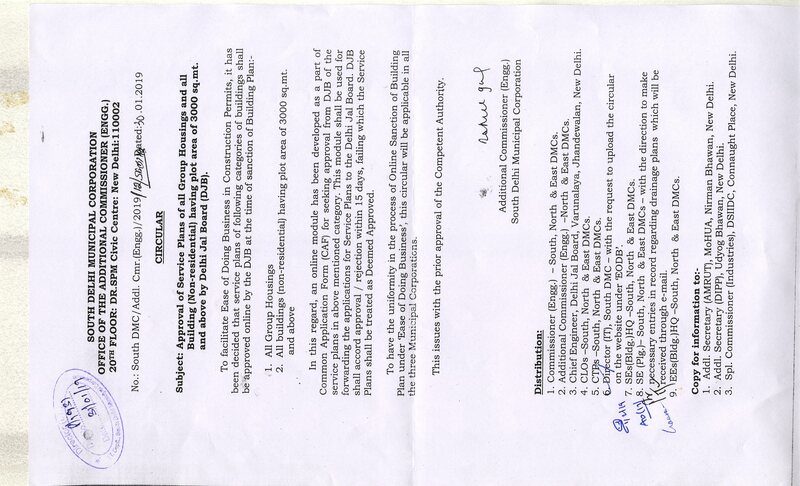 Title : Circular - Approval of Service Plans of all Group Housings and all Building (Non-residential) having plot area of 3000 sq.mt. and above by Delhi Jal Board (DJB). Description : Circular - Approval of Service Plans of all Group Housings and all Building (Non-residential) having plot area of 3000 sq.mt. and above by Delhi Jal Board (DJB).